Kowloon: Ace Indian shuttler PV Sindhu on Wednesday advanced to the second round of the Hong Kong Open World Tour Super 500 tournament while Saina Nehwal crashed out in the opening round. 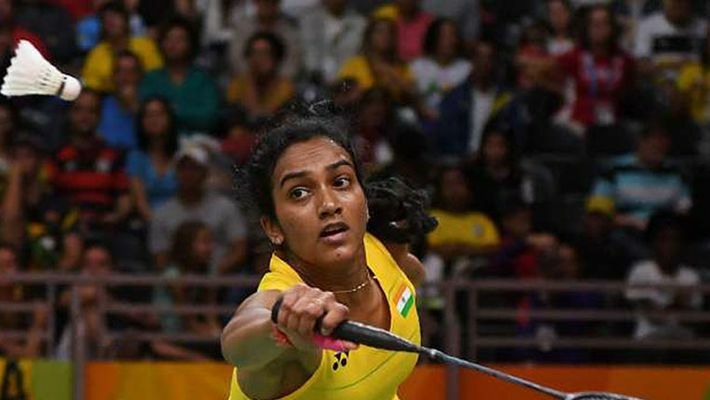 Olympic silver medallist Sindhu, seeded third, continued her consistent run as she recovered from a mid-game slump to surpass Thailand's Nitchaon Jindapol 21-15, 13-21, 21-17 in the first round which lasted a little over an hour. It was Sindhu's fourth win over the Thai player. In the second round, Sindhu, who won three major silver medals this season - Commonwealth Games, World Championship and Asian Games, will face Korea's Sung Ji Hyun. The 23-year-old from Hyderabad has a superior 8-5 head-to-head record against the Korean. Later in the day, Saina lost 21-10, 10-21, 19-21 to Japan's Akane Yamaguchi in the first round. In the men's singles, Sameer Verma, who clinched the Swiss Open and Hyderabad Open this year, saw off another Thai Suppanyu Avihingsanon 21-17 21-14 to set up a clash with China's Olympic champion Chen Long. However, former Singapore Open champion B Sai Praneeth was stunned by Khosit Phetpradab of Thailand in a 62-minute opener.